Billions Taken From CBN: Presidency To Release More Evidence Against Jonathan? More evidence of alleged corrupt practices by ex-President Goodluck Jonathan’s government may be tendered following a challenge by the former leader, it was learnt yesterday. Federal Government sources said although there was no immediate plan to arrest or quiz Jonathan, the Buhari government had not ruled out the option. Vice-President Yemi Osinbajo last week said N150 billion was withdrawn by the Jonathan administration two weeks before the 2015 election. A fact-sheet by the Presidency revealed how some funds were illegally transported from the Central Bank of Nigeria (CBN) to the private residence of the former President. A former National Security Adviser (NSA) personally supervised the physical transfer of the money from the CBN vaults to the private residence of the former President. The document said: “In one particular instance, over N70 billion was released in parts from the national treasury between January 8 and February 25, 2015. The over $289m, which was also referenced last week by the Vice-President, is said to be included in this particular series of illegal transactions. “Besides that, in another illegal disbursement, the minutes of the Central Bank board meeting of 25th August 2014 indicated the board endorsed another N60billion requested by the former President and released by the apex bank. “The sum which was okayed by the CBN board, was not tied to any project or procurement, and was meant and disbursed purely for campaign purposes, through the office of the then NSA and the DSS leadership at the time. 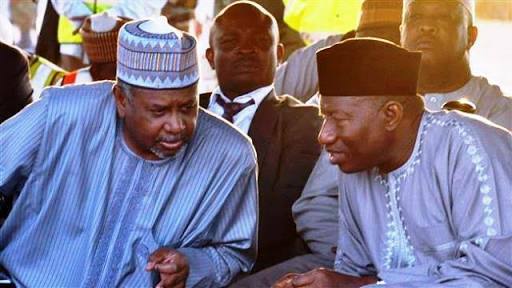 A top government source, who spoke with The Nation in confidence, said: “The Federal Government will release more evidence of looted funds either approved or traced to ex-President Jonathan if he continues to play to the gallery. The government is not out to persecute Jonathan but it may be compelled to lay the facts bare before the public. “We have more evidence of approvals, withdrawal of funds, diversion of cash and other financial misdemeanors committed during Jonathan’s administration. The N130billion or N150billion in the public domain is a child’s play. And some past government officials did not even waste much time in returning looted funds to the treasury through plea bargain in court. “There will soon be more revelations and more trials in the next few months. The official records are there for Nigerians to judge. “Jonathan has been accorded enough respect due to his status as a former President but if he wants this administration to prove beyond reasonable doubt, he might have to face the consequences. The source added: “The disclosure by Vice-President Yemi Osinbajo on looted funds during Jonathan administration were only to point out the fact that this President Muhammadu Buhari’s administration is different. In his reaction, Jonathan had said it's a plot to tarnish his reputation.